First 6 RS21’s unpacked from the container and ready to be rigged. What a whirlwind trip to San Diego to start off One Design Racing with the new RS21’s from RS Sailing. The stress of wondering what will go wrong was all for nothing as hard work and huge help from a list of people made the whole Helly Hansen NOOD Regatta in San Diego run perfect. Sail22 has been put in charge of the 6 RS21’s which we are now calling #6PackSailing. 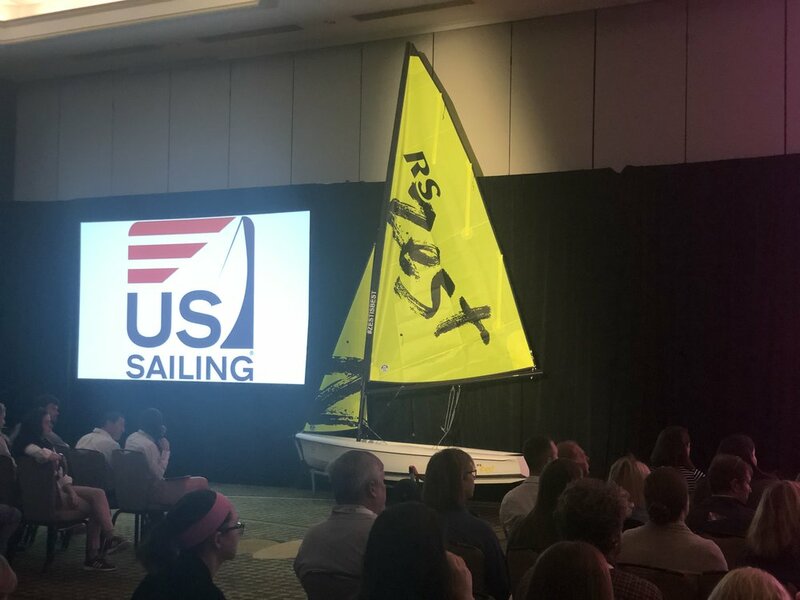 As the RS21 North American Sales Manager we are extremely excited about this new One Design Sailboat from RS Sailing and the enthusiasm from RS is contagious. Jon Partridge, RS Sailing Managing Director flew over to help make this event special. Not only was we videoing and shooting pics but he was helping rig, picking up trash, handing out beers and much much more. Our regatta location was chosen by the NOOD staff and we couldn’t have been happier. From first communication with Sailing Director, Jill Powell letting her know we needed to unload a container with our 6 Pack to club manager Lou giving the green light we started off with a great vibe. Once on property we worked with Maintenance Manager extraordinare Fabian. He made our lives very easy giving us plenty of space, use of their forklift and a great attitude. Sailing Coach Jon Rogers was always checking in and offered up use of tools and their shop. I can’t say enough about the staff at Coronado YC. I will come back as often as I can. Having lived in San Diego twice in my life I felt like I was coming home. With lots of time in the Sailing Industry helped to call on friends to make us look good. A big thanks to Patrick O’Connor for help unloading the container. Patrick Powell and Jessie from the USCG Academy who was home for Spring Break and his coach Doug Clarke for reaching out not once but twice to offer Jessie’s help. The fleet ready to go racing. Once the boats were rigged and it was time to go racing. When I run boats like this I usually try not to sail because we need to be on call to prepare everything so teams can focus on just sailing. Or if I am lucky I bring one of our guys to do all of this. Well thanks to George from West Coast Sailing he wanted me to sail as well. And Sean Wilson who we did bring out to help was racing with me. We would have a pick up crew but we’re lucky to also have Jen Garvey Sailing with us thanks to Jake from West Coast Sailing. Sean worked very hard to make sure the boats were sorted. Jon might call him “Stellar”. I would agree. And Jen helped rig every day. Stress was limited as the boats were rigged well and there were no break downs to worry about and no collisions either. We rotated our final crew spot each day with Dave Reed from Sailing World on day one. Dave also drove the last race of the day and was a great crew working the boat and keeping our bow sorted. Day 2 was Berkeley Green from Newport Sailing. I can’t wait to see some video from his day on the water. Final day we have a local that Jill Powell lined up for us. Carsten Jordon was a pleasure the sail with and hear how he enjoyed his time racing after spending the last 10 years taking his kids around the country for their sailing. Carsten stuck around to help in the de-rig process. So enough about our sailing, the other 5 boats were great to sail against as each team had a blast sailing the boats, working with each other to figure out the rig, trimming and boat handling. The fleet was much closer than the results as the group sailed around the courses in close range of each other. Alan Field and his team TC dominated the score line but didn’t always lead during every race. His team of talented sailors gave great compliments to the RS21 and the goals of the new class. The compliments to the RS21 were amazing showing the efforts RS has put into making everything right. Easy to sail, fun to tweak and just a good time. We had lots of questions and lookers from other fleets. We know we made a big hit and we are excited to fine tune the process which we know will be great and smoother at each event we go to. And we had no issues. The SDYC Juniors were very impressive as they not only went out of their way to thank us but they also asked questions and wanted to learn every day their third place finish was impressive as they were in the run for 2nd overall with Scot Tempesta who defended well on the last day. Look for reports from Scot on Sailing Anarchy. Brian Janney from North Sails was on board with Scot and great to have around to learn the boat and make sail improvements as the class goes to Open Sailmaker. With help from Pike Harris our few minor repairs were completed perfectly. The sponsors/partners have been great with a Racegeek d10 on each boat we had the boys in Ireland taking our data and giving us reports each day. More will come as we will show off the capabilities of the Racegeek d10 which on the water was used for boat speed, heading, pinging the line and more. The large easy to read display was a hit on both RS21’s and fleets around us. Spinlock donated 24 PFD’s for all competitors and went overboard, not literally, with the RS21 logo on each. loading up the 6 Pack. The pack up ended our stay in San Diego which we started immediately but then a break to hit the awards over at San Diego YC and return the whaler that they loaned us for the event. Another great gesture welcoming us in San Diego. We developed a great system when launching the RS21’s so we used that in reverse to haul the boats, dropping keels and Torqeedo’s, stacking boats then racks. Masts were actually dropped on Sunday night and ready to de-rig last once the heavy work was completed. The final day was loading the semi with the 6 Pack and assorted tools and spares. All going so smoothly something was bound to bite us. We had everything ready but then we had to track down the truck. Scheduled for 8am sharp we got everything ready including the first rack on the flatbed to back into the trailer. And we wait, and wait and finally just before noon the truck arrived. The load went smooth and less than 2 hours. Jon was then off the LAX and Sean and I had a late lunch before heading back to our hosts for the week. A very big thanks to my godmother and her husband Mary and Terry Lehr for hosting Sean and I. We were known as their Stealth guests as we left before light and arrived after dark most days. Another big thanks to Joanne O’Day and Ian Trotter for helping to find housing for Jon at Scott Harris’ on Coronado. This side of the sailing world goes a long way in making events like this happen and on budget or close. Locked and loaded. Next stop Charleston. So now it is time to regroup, refresh and reload so we can do this again for Charleston Race Week and then the rest of the Helly Hansen NOOD Regattas in Annapolis, Chicago and Marblehead. If you want to get involved in any of these events as a charterer, host, want to help us out, please shoot an email to ed@rssailing.com. Stay in touch on Facebook and Instagram by searching for RS21, Sail22 or RS Sailing. Thank you again to Racegeek, Spinlock, North Sails, Selden and all of our partners. RS21 wrapping up a great demo day at US Sailing NSPS in Jacksonville. 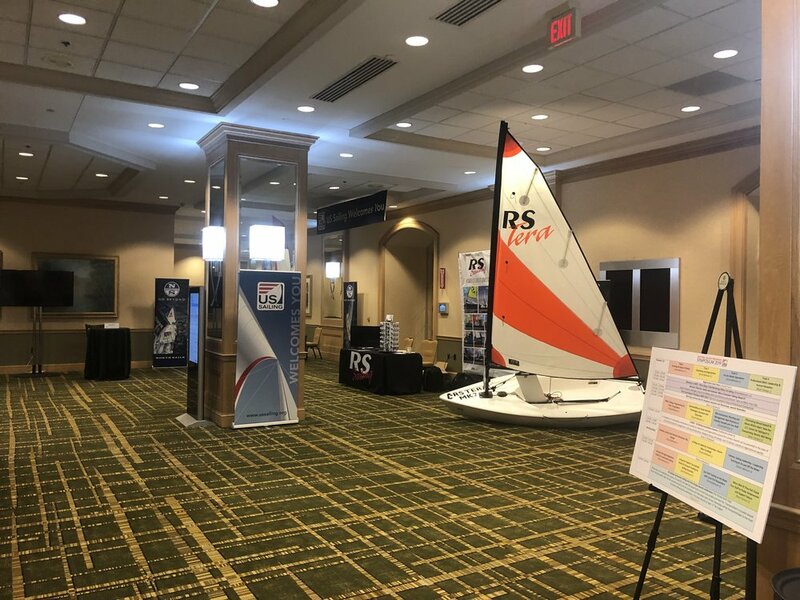 I had the pleasure of attending the US Sailing National Sailing Programs Symposium(NSPS) in Jacksonville this past weekend. I attended the show with RS Sailing as I am now the North American Sales Rep for the RS21 Keelboat. Sean and I attended the event with Jon Partridge, the Managing Director of RS Sailing and Todd Riccardi, the North American Sales Rep for RS Sailing. Also representing RS Sailing were Distributors Zim Sailing. West Coast Sailing and Central Coast Sailing. Here is what NSPS from the US Sailing website - "NSPS is the only conference of its kind that brings together program directors, instructors, volunteers, parents and industry representatives to share and learn best practices with one another about running, maintaining and improving sailing programs." For more about it check out the link here. One of the goals of why we attended the NSPS was to talk about and demo the new RS21. We brought two of the boats there for the planned demo day on the Friday of the Symposium. On Thursday the whole thing started and Jon was asked to give an introduction before the keynote speaker. This was a great opportunity to talk about the goals of RS Sailing and how important it is to be a part of this event and help in growing the sport of sailing. The talk this year was about Diversity. So what a better way to contribute than the launch of the new RS21 which will allow a much more diverse group of people the opportunity to enjoy sailing. The buzz on Thursday very much included the RS21 as lots of people came to the RS Sailing booth to ask questions. The RS21 is the top searched boat on the RS Sailing website so these questions made sense of that. Due to the volume we decided to create a sign up sheet for the Friday demo day. We quickly filled up the schedule with 6 spots every half hour and a pretty good list of standbys. There was also lots of interest in other RS Sailing boats especially the Quest and Zest. As Friday came around we had to launch the two RS21's so we headed to Florida YC to get things done early. A little power outage wasn't the most welcome part of the day and as we were about to start neither was the rain. Definitely worried as all of our hard work with bringing two boats and try to make the most of the short demo day was threatened. But as we were about to start people started showing up to go for a sail. That line continued all day and there were even some grumblings that were weren't moving people through fast enough. I guess waiting in the rain makes things go by slowly. The excitement for the boat was very high all day. As we wrapped up the rain dried up and we had a few more groups swing by to ask us questions and look at the RS21's. Saturday was the final day so we were back at the hotel for more time to meet with people and answer questions. We were also able to share the news on the Charter fleet of RS21's that are heading to the US for the NOOD Regattas and Charleston Race Week. We also decided to add and a RS21 North Americans which will include free charters for the winners of the previous events and a Yacht Club challenge. More information on that soon. For information on the charters please email ed@rssailing.com and check out this link here. To wrap up it was very encouraging to see what US Sailing is doing to educate and grow sailing in the US. Creating these Symposiums allow established programs to ability to share what they have learned with the smaller programs in our country. Even the bigger programs can learn and fine tune what they have. It also gives the venders the ability to support the different programs and let people know who the companies are that truly want what is best for our sport. Opening Keynote at NSPS 2019. RS21 ready for demo day in lucky spot #22. Hotel Staff had some fun with the Zim pram that ended up in the excercise room but time to take it down at the end. I’m with the band. #nsps19. 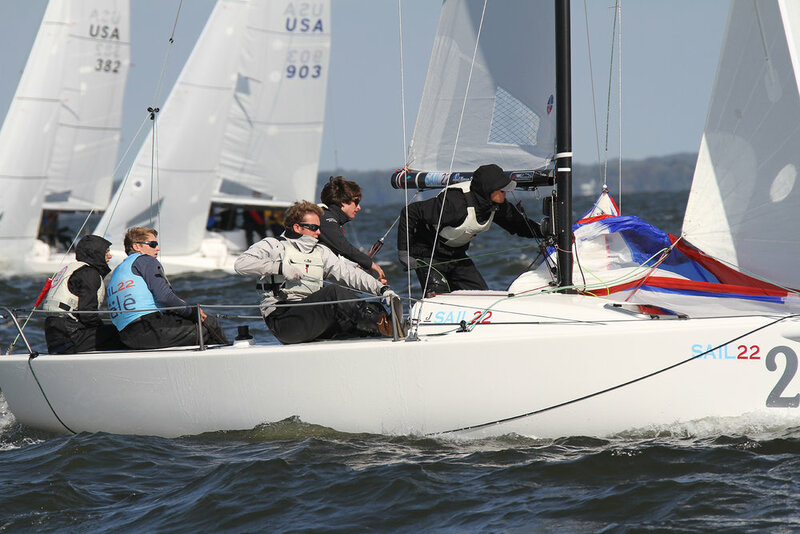 We just wrapped up the first ever J/70 Corinthian Nationals in Annapolis, MD hosted by Eastport Yacht Club. When I first heard about this event I though it was a great idea but also was bummed because that meant my plans to attend the annual J/70 Fall Brawl would have to change. The J/70 Fall Brawl was the very first J/70 Regatta ever sailed. I was at the first one, so I already had some personal history with it. Once I accepted this decision, Becky and I decided we wanted to figure out how to make this event special, because with it being the first ever Corinthian National Championship, it needed to be successful. We talked about gathering some great coaching for teams, daily debriefs and more that could add to the event. These are an important part regattas for teams to improve. Then we began thinking outside of the box toward one of the areas we are passionate about, Junior Sailing. Two years ago, we redesigned our Maxinkuckee Yacht Club Junior Sailing Program, now know as, MYC Adventure Sailing, by changing our Junior Sailors over to O’pen Bic sailboats from Optis. We also moved the program from a private location to the local town park where it has exposure to everyone. 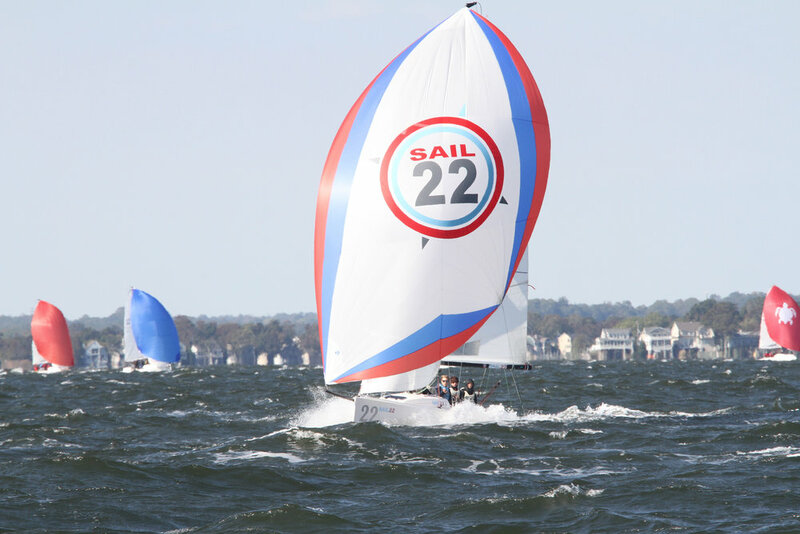 Based on our commitment to Juniors, we decided to donate our own tricked out Sail22 J/70 to a Junior team. We didn’t just want to have just any team sail our boat. The Juniors needed to be a team first and also be good kids. This is where our friend, PRO and EYC Member Jeff Borland came in. He called me and we talked about a team from Annapolis Yacht Club that had just won this year’s Sears Cup. The Sears Cup is US Sailing’s Triple-Handed Championship Regatta. The kids had already spent a lot of time together and Jeff assured me he would give his own boat to these kids. He said they were from good families and would take care of our boat and make good decisions. For us it was very important to hear this from Jeff, but we also know that giving youth sailors access to the next level is very important for the continuation of sailing. Without young sailors making the leap from High School and College sailing to fleets like the J/70 we won’t have the fleet growth. We also need to give youth sailors the equipment to succeed they aren’t hindered which could cause them to become discouraged. Our J/70, USA 322 just competed in San Francisco for the J/70 Worlds. It is in prime condition with all lines upgraded and every detail looked over. By donating a boat like this we felt it shows the Juniors that we trust them and also showed them how to have a race ready boat for a big event. Jeff introduced me to Porter Kalve, the skipper of the team that would sail our boat. We emailed first and then talked on the phone. We would continue to communicate while the event grew closer to us. Porter started with a three person team, so he would add a fourth to the team. Porter did a great job of keeping in contact with me as we worked on our schedule. We were in San Francisco for the J/70 Worlds and then Lake Geneva, WI for the Melges 24 US Nationals prior to heading to Annapolis. We arrived in Annapolis Wednesday night before the event. Porter had organized himself and crew member Remmington King to meet us on Thursday morning. The other kids were still in school. He and Remmington were lucky enough to have Thursday and Friday off that week. We met at Annapolis Yacht Club and immediately began rigging our J/70. As I had some other work to do, I guided the them while I completed other work. Porter and Remmington took it upon themselves to get cleaning supplies so they could clean the boat. They also took the boat to the hoist to make sure them got the boat thoroughly clean. What impressed me most about this team was the fact that they knew where everything was supposed to go and how to tape ring dings, tighten shackles, etc. When approached with questions, they instinctually did the right thing. This says a lot about their parents, coaches and other people that have helped these kids grow in sailing. They even put bow numbers on and changed out the sail numbers. The fun part for us was meeting the parents. We knew Kenny and he came by early on and thanked us and said hello. Remmington’s Dad got out of his van when he dropped his son off at EYC and came over to introduce himself and thank us. He was very nice and professional. These things really mean a lot. Then there was Porter’s Dad. He rolled his window down on Aris T Allen Parkway and yelled across at us to thank us. Then when we were having breakfast at the Eastport Kitchen he came in to more formally say thanks and shake my hand. I guess our Sail22 Van is easy to find. The effort he took to make sure he thanked us and not just from a distance. The final group we met were the Mom’s. At the end of the event we weren’t sure if we were going to hit the road or go to EYC for the awards. Since we have two little ones, we needed to start our drive back home. Fifteen hours to get to Annapolis made for a long day on the way there. So we had decided to split it up on the way home. A break to see the Junior team and congratulate the competitors was the right thing to do. As we arrived at EYC, we heard we were needed by a friend. As we worked our way over to the tent, we were greeted by Porter’s and Mariner’s moms. They were very excited and very appreciative. They immediately went into what I would call “Mom Mode” asking if we needed anything and making sure we knew how much they appreciated our support. We appreciated how grateful they were for the opportunity their children were given, but this was not the reason why we donated our boat. After lots of photos, awards and a nice speech from Porter and the team, we began our trek back to Indiana. Our first Junior sponsored team event was a big success. Members of that team are now heading to High School Keelboat Nationals which is held in J/70’s this year. We hope we helped the team prepare for this event. We look forward to working with more Junior teams. If you have an event that you would like to have a Junior team participate in, please let us know. We might be able to help out with our boat or help organize lining up a boat to be used. Look for more of this type of support from Sail22 in the future. If you need to contact us for this or any sailing related services please email info@sail22.com , find us on FaceBook, Twitter or give us a call – 574-889-0022. Happy New Year!!! We’re all set up in Key West for another Key West Race Week! The J/70′s are the largest class here and we are so excited as to how much the class has grown so quickly. It’s great to have so many of our friends and clients all coming together to race in this fun class. It’s always like a reunion here in Key West with the different classes coming together and it’s one of the things we enjoy the most about being here. We’ve recently updated our J/70 Upgrades and Options. Now that we own both USA 322 and USA 490 (available for charter for upcoming regattas), we’ve had even more fun making the boats even easier to sail! We’re always looking for more ways to do this and appreciate the client suggestions that have come along this past year as everyone sails their boats. Please click Sail22 J70 Options Price List for our most recent list. Becky was out on the water with her camera and captured images of today’s racing. Check out the 2013 C Scow Nationals Gallery here with more images to be added. We’ve been in Key West since last Monday and have been so busy, we haven’t had a chance to write about it! Always one of our favorite regattas and this year we’re excited to have the J/70 Class joining in on the fun. It’s great to meet many clients we have been working with on their new J/70′s for upgrades and covers, as well as some new owners in the Melges 24 class who are also here. We’re based in Truman Annex at the mobile marina and will be there throughout the week. Ed and I are racing together on the J/70 Surge with Geoff Pierini and looking forward to a great week. The demo boat, USA 14 is chartered to Bob Hughes of Heartbreaker, so keep an eye out for both. Bill Becker will be available for any needs during the day when we are on the water and can be reached at 219-617-2275. As always, you can email us at info@sail22.com and we’ll get back to you as soon as possible. Need help with logistics for your next regatta? Parts for your boat? Crew Gear? We want to make sure our clients have exactly what they need and have their questions answered. We’re quick to respond by email and also available by phone. Please feel free to contact Ed & Becky Furry directly at 574-889-0022 or by email at info@sail22.com. Our list of Sail22 parts and upgrades for the J/70 continues to grow! Here’s a list only of options that are available for the boat. Can you tell that we really don’t sleep much? Our minds are always churning up ideas of ways to make sailing easier and more enjoyable for our clients. Please feel free to ask us any questions. We love to help! Sail22 is pleased to offer logistics services to J/70 teams. 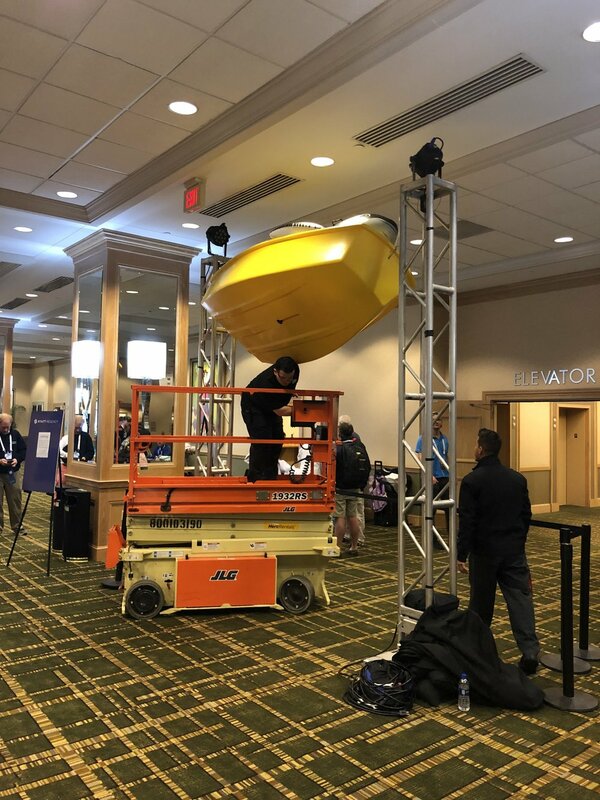 We offer full service packages which include boat transport, set-up, launch, haul and break down to travel to the next event or we can customize logistics to meet your individual team’s needs (ie. only rig & launch or break down of boat). Our company has worked with many teams from all over the World in various one-design classes to make regattas easier and more enjoyable for teams. Rigging and boat prep of the J/70 starts at $300 and everything else is customized. We will be supporting the J/70 in conjunction with J/Boats in Key West, St. Pete, Miami, Charleston & Annapolis for the class events. Please feel free to email us at info@Sail22.com or call 574-889-0022 to discuss your upcoming regatta needs or questions on upgrades. As the C Scow Class President, Ed was invited up to Melges in Lake Geneva, WI for the first sail of the new 2013 C Scow. We have a 1998 C currently and it’s a great boat…but we’ll be looking to upgrade soon! We had a beautiful late Fall afternoon…crisp, medium breeze and a little bit of sun here and there. Ed sailed with Jim Gluek on the 2013 C Scow and Andy Burdick & Matt Pistay sailed the 1999 C Scow (B-16), which was known to be a fast boat. The rig for the new C was borrowed from Paul Reilly, as it was felt to be a good rig and the new C Scow mast die isn’t finished (new masts in January 2013), so we weren’t able to test a new rig quite yet. The new C is about 20 pounds lighter in the bow, due to the adjustable forestay being replaced with a fixed forestay. Why you ask? Well, one big reason is to keep water out of the bow of the boat and the adjustable forestay was a big entry point. Take all of that hardware out and replace with a simple, lightweight turnbuckle and it’s a big difference. The reason for the effort to lighten up the bow of the C Scow dates back to Melges switching over to their M-Preg process which infuses the fiberglass with resin leading to a more even distribution, however this results in less control to keep the ends lighter. C Scow sailors felt that the 1998-2000 boats were better due to this. Sailing the C in big waves can be a challenge as the flat bow likes to dive into the waves. Keeping the weight out of the bow if very important in these conditions. The sailors asked for this and Melges listened. The bow of the 2013 C Scow we tested also had no rub rail, again to keep water and weight out of the bow. And besides, the boats really shouldn’t be hitting other boats or the dock, right? It’s rare to find another sailboat with a rub rail these days…but if you really want one, you can have it added as an option. Another big update is the use of cubetainers in the bow of the boat for buoyancy to replace the styrofoam that was previously used. This will help with weight, especially as the boat ages, as there isn’t any foam to absorb water. Now that the class has approved Carbon tillers and tiller extensions, they will also be options for the 2013 C Scow. Other options for the 2013 C Scow include a gray deck and also a Soft Deck (they are great, we make them for other Melges boats and the new J/70) which means it’s now super comfortable to sail barefoot on those hot summer days. The only other change was with the outhaul. It is back on the boom right above the crew and easy to use without extra rigging to get it back to the skipper. I’m sure if you like the old style, it is still an option. So now the sailing side of things. The new 2013 boat felt great. Having Jim Gluek driving didn’t hurt things! As every new boat should feel great and work very well, it did. But aside form just having that “new boat feel”, everything just worked very smooth. We had pretty consistent breeze and small waves since we had the lake to ourselves. It truly was a perfect day for the initial sail. The bow on the new boat was noticeably lighter in the bow. Some of the photos may not give it justice. If you look at crew weight I was in the front with Jimmy driving so much more weight forward than Andy and Matt who had their weight reversed from us. The leeward bow rail was skipping off the waves more with the waves breaking back about a foot. When we switched boats there was some splash forward even when I was driving with Jimmy crewing. Both boats were definitely fast and there really wasn’t a huge speed advantage for either boat. This is a good thing, as the goal is to make the new boat perform like the 1999 and not exceed it. With a new mast that might change the game a little. Downwind the boats were very similar in speed. After over a mile the boats were right with each other. This is a great thing as a slower boat would definitely be pushed back after that kind of time. I think the big test will come in wavy conditions. Even if these two boats are the same speed in medium breeze and small waves, that will change when the waves pick up. This is the selling factor for a new boat. The stiffness of a new boat will come into play as the waves get bigger and the breeze builds. This is just a fact and a good thing to get new boats on the line. My end reaction is my boat is a great boat. But it is a 1998 that is fairly lightly used. If I had the time to sail C’s more and the money I would buy a new boat for sure. Melges does a great job building solid boats and my 15 year old boat is definitely not going to be as fast as a new boat. Yet, the simplicity of the new forestay that is still easy to change between races sells me. I also like the fact that there no place for water to enter the boat from the bow now. I am actually thinking about removing my bow rail to keep water out of my boat. Regardless, I’ll be adding a carbon tiller and tiller extension since they are cool and will be less maintenance than the current wood ones. The new C stays true to the previous C Scows without changes that will make older boats outdated and definitely keeps the boat fast and fun. 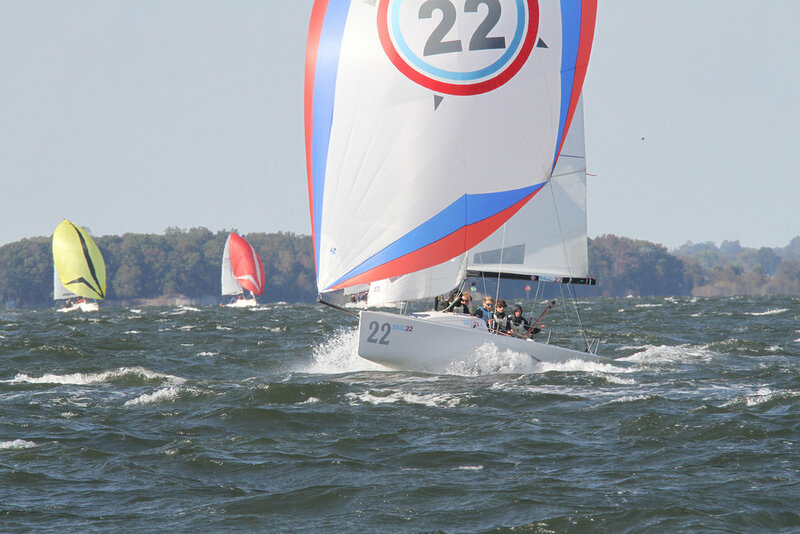 Melges is taking orders for the 2013 C Scow…give Andy or Harry a call and tell them how excited you are for the new updates…and go sail a C…new or old, you’ll have a blast! To make finding Melges 32 Gold Cup 2011 Team Galleries easier, here are the links to each of the different teams. Great conditions as always in Fort Lauderdale and huge thanks to Vicki and Steve Rhyne and the Mojo team for allowing us to get out on the water! Congratulations to Steve Howe and the Warpath team on their win and a very impressive regatta. Check out the Sick Trix gallery for one of the best Melges 32 wipeouts we’ve seen in a very long time. For more coverage from the event, go to Sailing Updates to see our on the water mark rounding details and blog coverage. Enjoy!